Interactive fiction-the best-known form of which is the text game or text adventure-has not received as much critical attention as have such other forms of electronic literature as hypertext fiction and the conversational programs known as chatterbots. 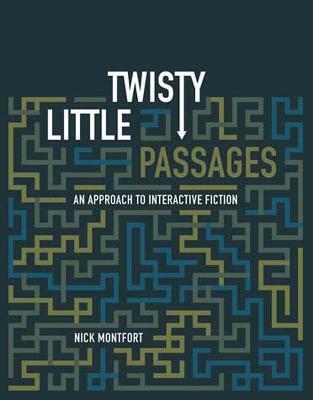 Twisty Little Passages (the title refers to a maze in Adventure, the first interactive fiction) is the first book-length consideration of this form, examining it from gaming and literary perspectives. Nick Montfort, an interactive fiction author himself, offers both aficionados and first-time users a way to approach interactive fiction that will lead to a more pleasurable and meaningful experience of it. Anyone interested in the use of technology for artistic and cultural purposes should crack open Twisty Little Passages.